Premier's brand has received patronage due to its commitment to the quality of its complete range of tea products. A strong manufacturing base in the tea growing country ensures its ability to cater to global demands of pure Indian teas and as well as flavored teas which are not adulterated with other origins so that the purity of tea is maintained for all blends. 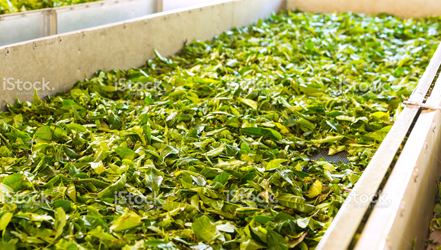 Tea is cleaned both manually and mechanically to remove unwanted impurities. The tea is further tested in our in-house Laboratory for initial testing. The company is also backed by a dedicated and technically sound batch of professionals, who are experienced in the field of tea leaves selection, manufacturing procedure, tea tasting, processing, cleaning, blending, flavoring and packaging, in their own 'State-of-the- art' Tea Plant. Come oh come ye tea-thirsty restless ones - the kettle boils, bubbles and sings, musically. 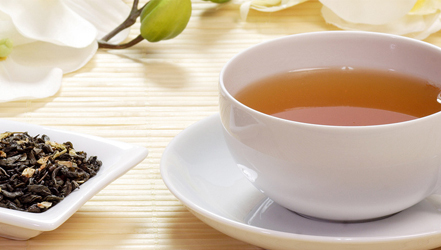 Tea being a beverage, we feel that it is necessary to clean it from impurities/foreign/unwanted material such as dust, fiber, wooden splinters, stone, sand, glass, ferrous particles, paper, plastics including dead insects are eliminated. These alien particles get mixed at the Tea Plantations at the time of production and owing to the lack of non availability of modern facilities, if not cleaned, can go unnoticed. Premier's as a corporate philosophy was already following the stringent cleaning process since 1993 but the state-of-the-art unit imported from Japan has given Premier's the technology and wherewithal to take care of this problem in much more sophisticated manner and on a much bigger scale. This unit, one-of-it's kind in entire S.E. Asia having the capacity of cleaning, blending & packaging tea to the tune of approx. 3,000 KG per shift which has given Premiers that cutting edge in the tea industry, both domestic and global, in terms of cleaning and thereby ensuring purity. Premier's sophisticated machines alone can't be all and end all; because machines can be programmed to do so much and not everything don't you think that the sophisticated poultry farming companies didn't have latest technology at their disposal? Then why did we have an epidemic like bird-flu? So it needs human touch and passion and eye for purity which ensures all this. Otherwise, with al the latest technology available augmented by so many cameras there would not be any need of Umpires in Cricket or line judges and chair umpire/referees in tennis and American football.